Desert Environments was founded by Mike Kiesler. He has spent over 25 years in every aspect of this industry and has been an accomplished landscaper for over 12 years. His work is both appropriate for arid environments and blends with the unique architectural features of each neighborhood. The secret to the success of Desert Environments is Mike’s commitment to customer care and quality. During the construction process, Mike oversees every job to ensure that the plans follow your design correctly. 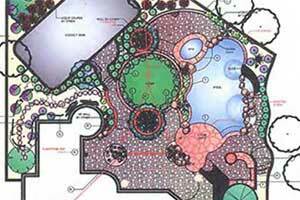 Your landscape design will be meticulously followed and each element will be checked for your approval. And to guarantee complete customer satisfaction, each project comes with one of the best warranties in the business. 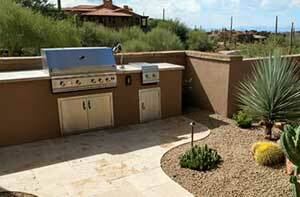 With Desert Environments, the creation of your outdoor living space is in good hands. Desert Environments is a landscaping company specializing in installing custom in-ground pools, outdoor lighting, and much more. 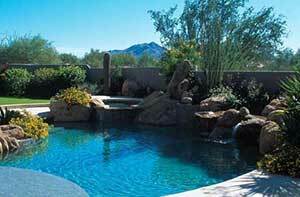 We are completely licensed and bonded to perform landscaping services for the greater Phoenix area. We take pride in the work we do. Each project is finished on time and on budget. 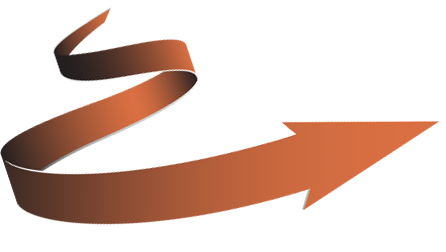 We are a team of professionals who add guaranteed value to Arizona homes and businesses. Contact us today to set up a consultation for one of our many services. Operating for over 25 years, we've earned a reputation for quality service and beautiful work. 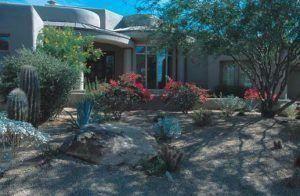 To the untrained eye, Scottsdale, Arizona's environment appears harsh and neglectful of vegetation. And though it's true that our climate is selective about what it nourishes, it merely takes the right local landscaping professional to install and tame unruly yards, transforming them into areas that flourish in the urban desert environment. 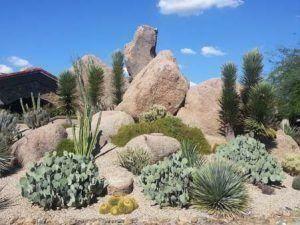 Desert Environments is more than just a landscaping service. Our tightly-knit team of professionals brings talent and expertise to every project; transforming uninspired outdoor settings into places where Scottsdale residents want to gather, play, and entertain. By looking at details beyond simple aesthetics, we create intentional spaces with every element thoughtfully placed. 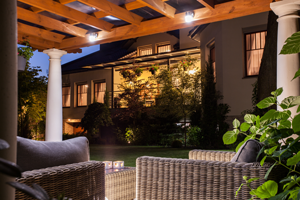 From outdoor lighting, barbecues, fireplaces, walkways, rockscapes, pools, and water features, we bring functionality and beauty together in a way that reflects your lifestyle and vision. How do we transform outdoor spaces? Countless details go into the planning stages of residential landscaping. That's why your project manager takes the time to meet with you and talk about your existing ideas. Because we've been doing business in Scottsdale for over 25 years, we know how to ask the right questions, and when to ask them. Your complete satisfaction is built into everything we install. And for your peace of mind, all of our services are warrantied. For additional assurance, we maintain an open and consistent line of communication with you during the process. Your project manager is available for you to ask questions and provide feedback so, along the way, you're getting what you expected or better. Working with local suppliers, we deliver on our promise to make your private landscape into one that welcomes and inspires. Elevating the art of landscaping service requires experience and dedication. 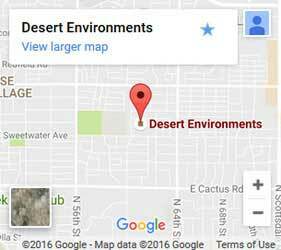 And at Desert Environments, we have both in spades. Contact us today to gain insight into how to build an outdoor space that works for you. Maybe that means a simple cleanup of overgrown plants and new mulch. Or maybe it means installing luxuries such as outdoor kitchens and surround sound systems. Whatever great landscaping means to you, we help you achieve it.